Millions of people planning to hit the beach or the pool this summer are at risk, the Red Cross says, because they don't really know how to swim. In a new survey, the Red Cross found that 54 percent of Americans either could not swim or were unable to perform basic swim safety skills. The numbers are even more concerning for African Americans; only about 33 percent say they can perform all five basic skills, compared to 51 percent of whites. An average of 10 people die each day in the U.S. from drowning, according to the Centers of Disease Control and Prevention. It is the second-leading cause of unintentional injury death for children, and the fifth-leading cause for people of all ages. These alarming statistics have prompted the Red Cross to launch a drowning prevention campaign, intended to draw attention to the need for swim training and safety skills. 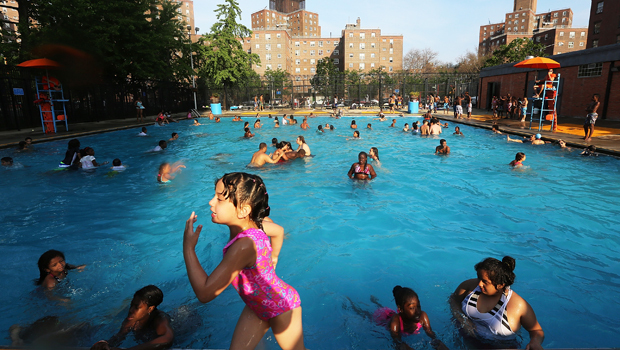 "We're asking every family to make sure that both adults and children can swim and that parents make water safety a priority this summer," said Connie Harvey, director of the Red Cross Centennial Initiative. The campaign has selected 50 cities across 19 states that have high numbers of drowning deaths or high drowning rates to focus on training and prevention.